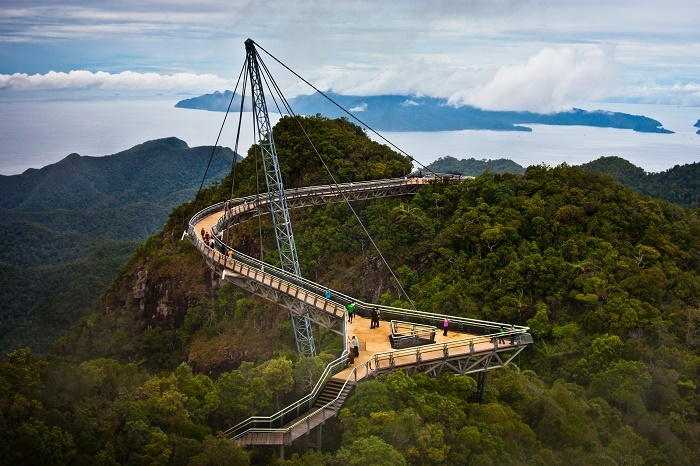 The Langkawi Skybridge is the longest free span and curved pedestrian bridge in the world, located in Malaysia. 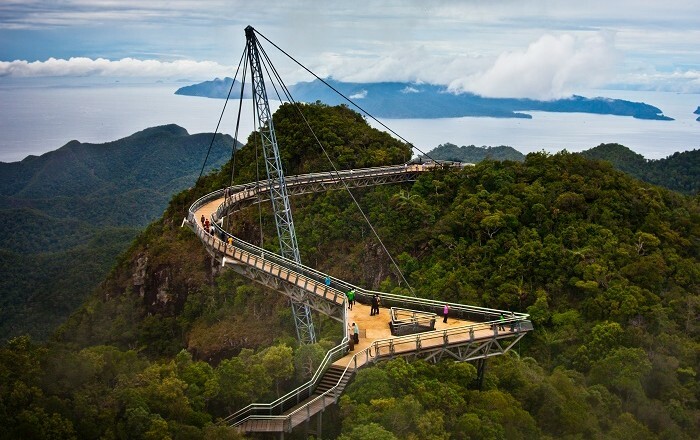 The bridge deck is located 660 metres (2,170 ft) above sea level at the peak of Gunung Mat Chinchang on Pulau Langkawi, an island in the Langkawi archipelago in Kedah. 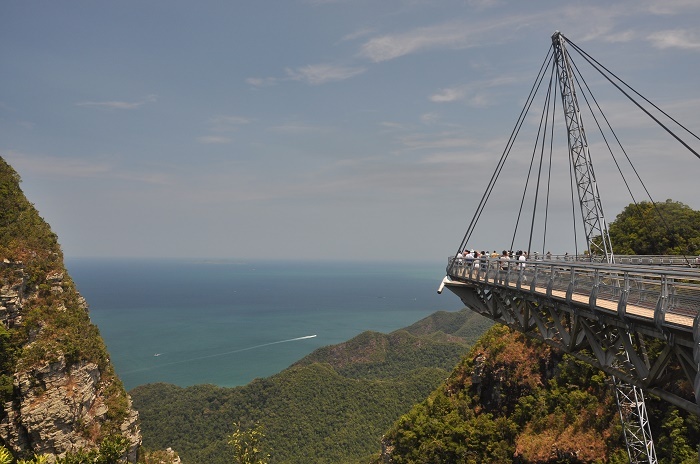 Located 2,300ft above sea level, the Sky Bridge is easily accessible by the Langkawi Cable Car. 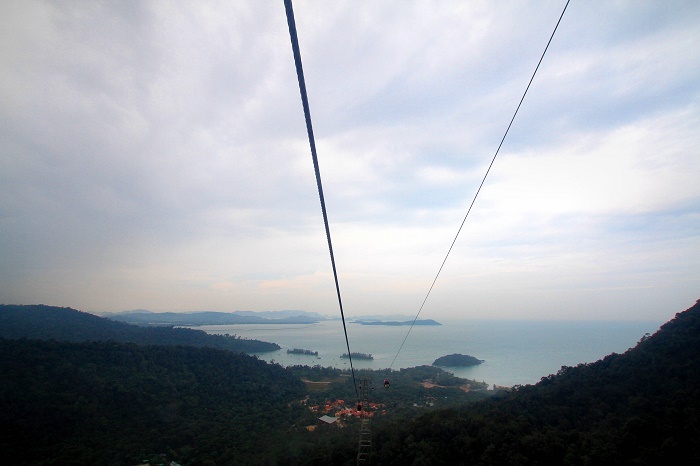 The journey to the top starts out at the Oriental Village in the upper northwest of Langkawi Island, near Pantai Kok. Once the cable car gets going it gets a little chilly as winds flow through the ventilation slits at the top, so put on a sweater beforehand. The bridge is 125 meters long, and 1.8 meters wide (the middle section has a wider walkway), with two steel railings as well as steel wire mesh on either sides. It is designed as a curved walkway to maximize the viewing experience, providing shifting perspective as a visitor walks along the bridge. 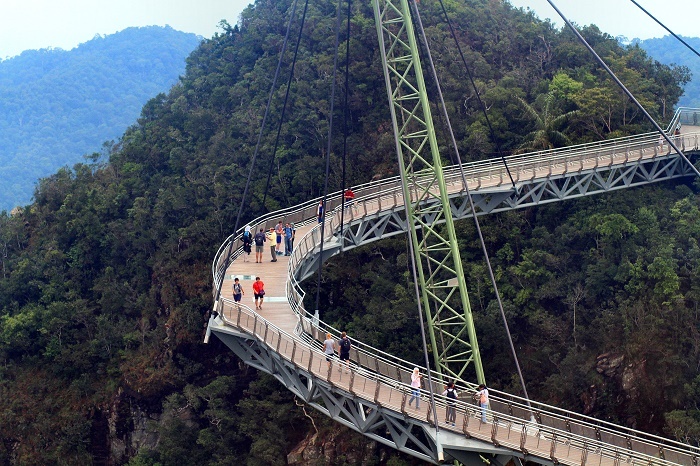 The walkway, formed of steel and concrete panels set on top of an inverted triangular truss, connects two hilltops at Gunung Mat Chinchang. The first 25m of the bridge is straight, following 3 curved 25m sections, then a final straight 25m section. 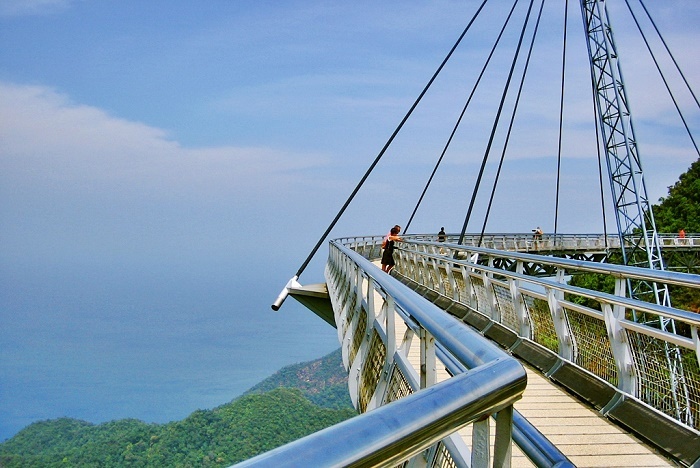 At each end of the walkway, the bridge has a 3.6m-wide triangular viewing platform that serves as resting and viewing areas for visitors. 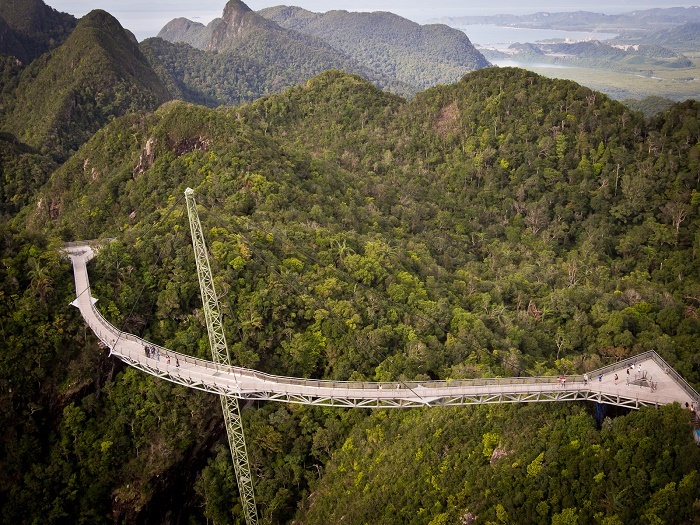 The bridge is suspended by 8 cables from a 81.5m high single pylon, and hangs at about 100m above ground. 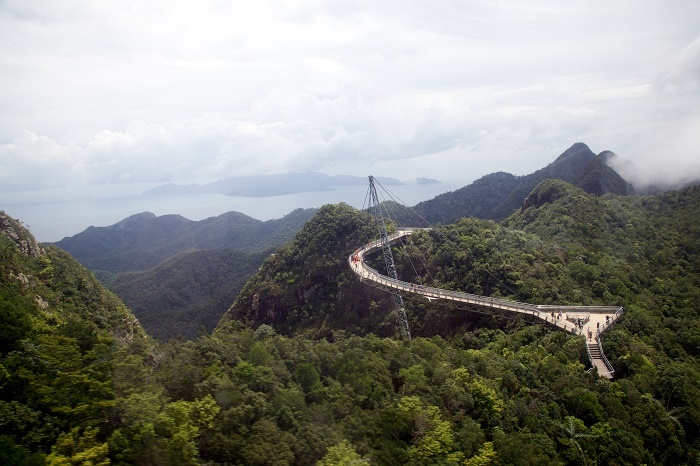 The pylon is anchored onto a concreted pad set at an elevation of 604.5m, and its tip reached 686m above sea level. It is inclined at angles of 78° and 2° in two directions, and supported by two cables. The bridge is designed to carry a maximum capacity of 200 persons. Officially the bridge was opened in February 2005, and costed $1.2 million. There were some repairs made between 2012 and 2015, during which time it was closed for visitors, however, it was opened again in December 2015. So, it may sound like a cliché but it is really true. The views from the bridge are simply stunning, great for those picturesque moments! 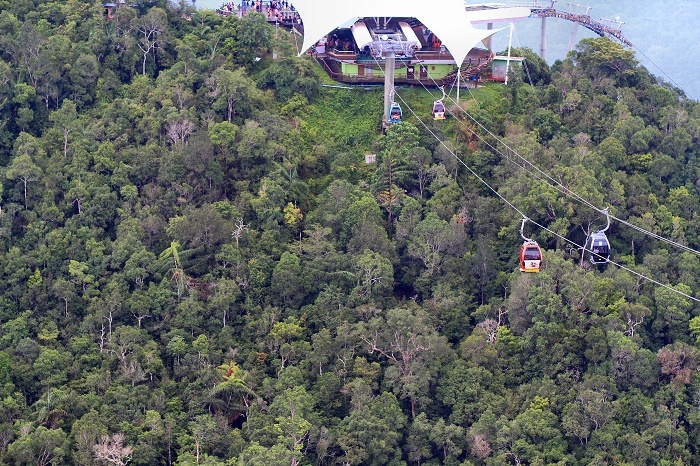 The views on the way to the top of Langkawi’s second-highest peak include those of the Telaga Tujuh Waterfalls and the rain-forest. 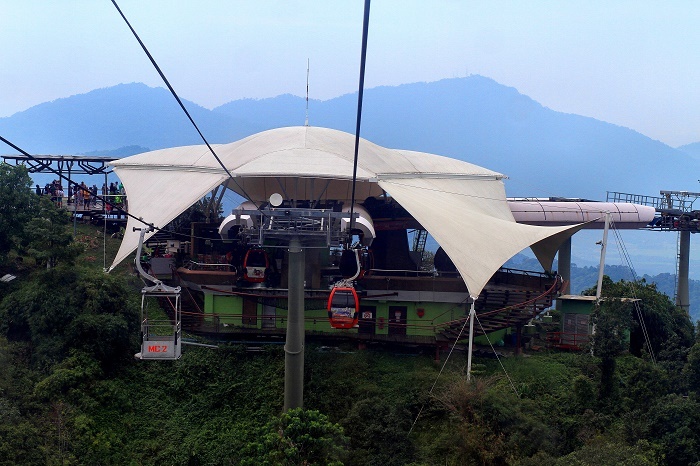 After traveling a bit upwards, the cable car levels outs and stops at the Sky Bridge, the final station. 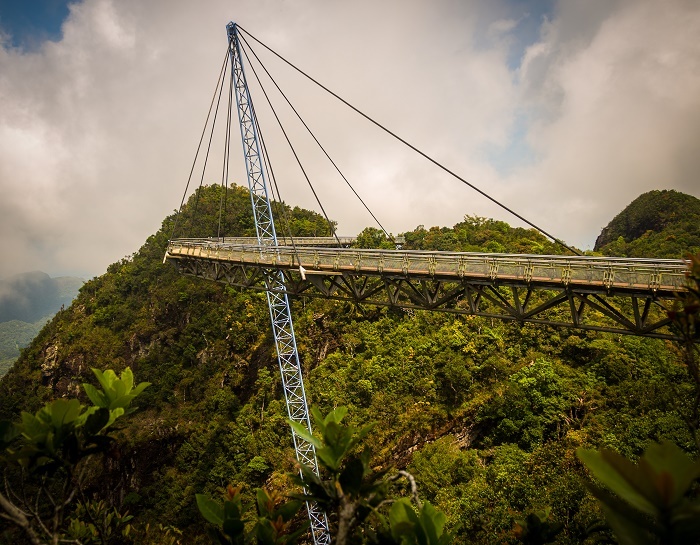 Those with a fear of heights might be a little afraid of the altitude, but it is a very safe bridge with double steel railings and an enclosed wire mesh, from where you will make stunning pictures and have a quite an experience to tell about.